This is the Chris Reeve Small Inkosi folding knife configured for left handed carry. All of the materials and stats are the same as the right-hand version. 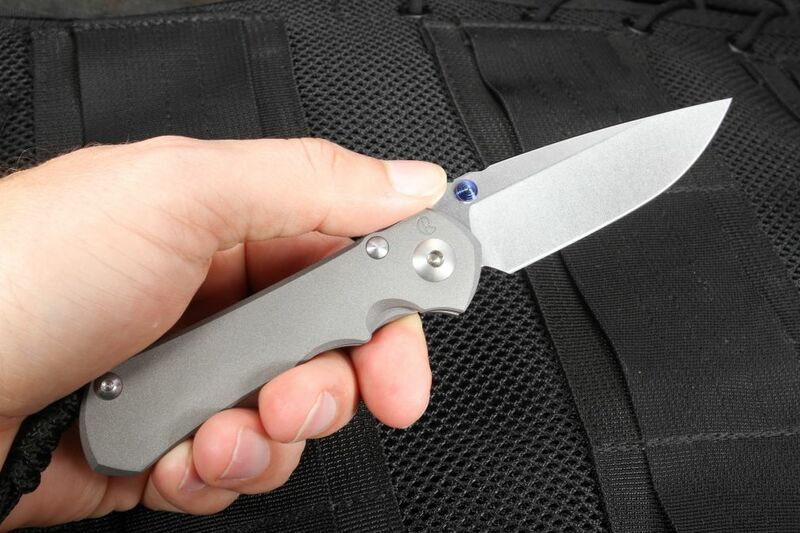 The blade is American Made CPM S35VN steel with a fine stone wash finish. 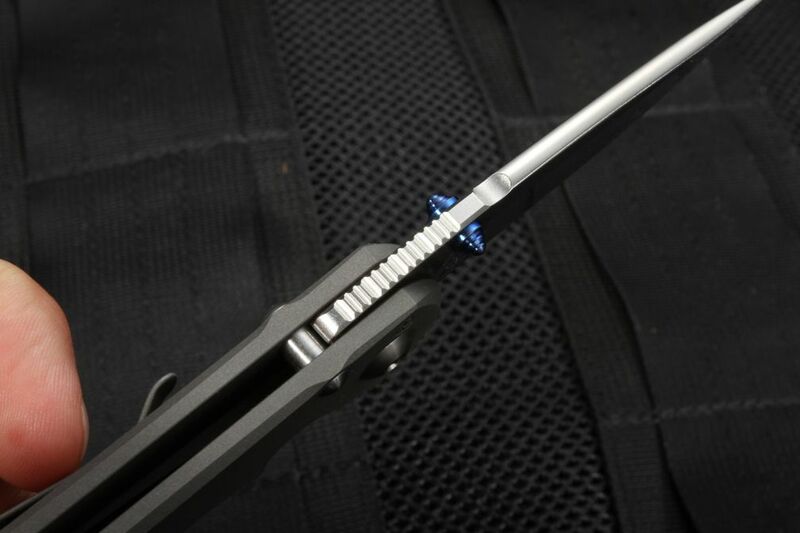 The blue anodized titanium dual thumb lug makes for easy opening with your right or left hand. 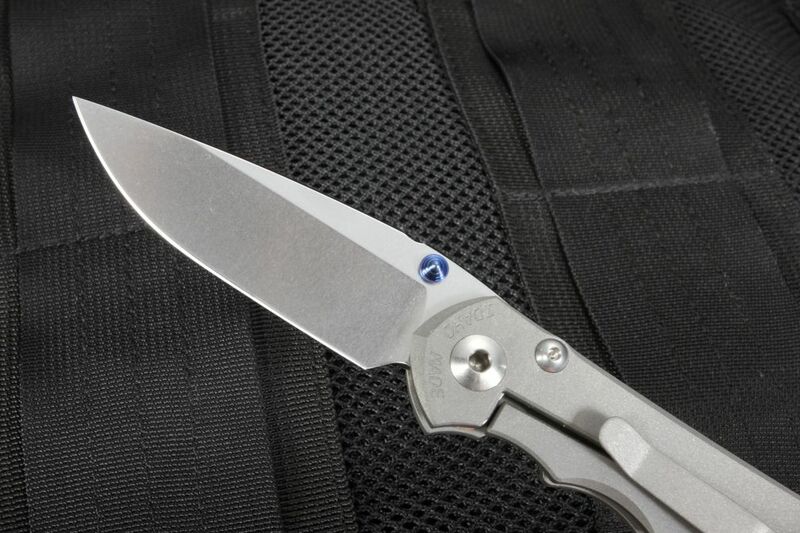 Jimping covers the thumb rest of the blade spine. 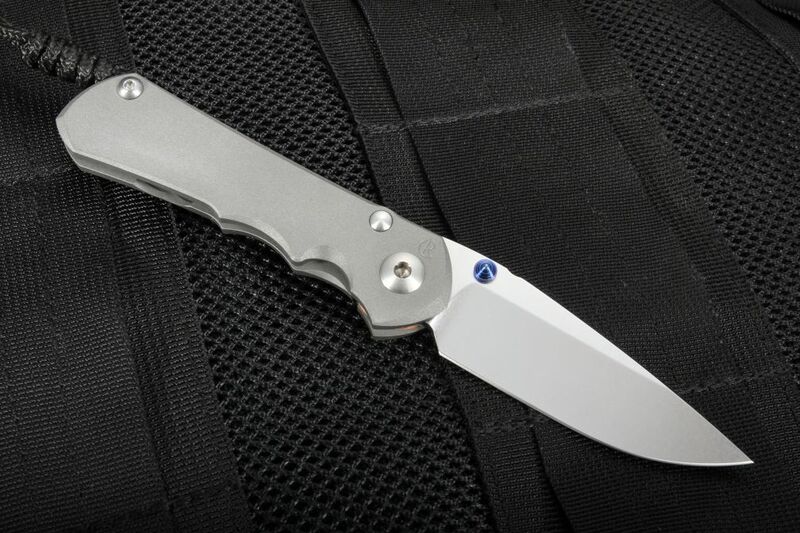 The handle of the small Inkosi features aerospace grade titanium with a fine blasted finish. Solid frame lock design. Ceramic lock interface to greatly increase the life of the frame lock. Braided black cord lanyard.